Superior Tank Solutions sells and installs various models of active tank mixing systems as well as TTHM reduction systems. Active mixing systems are designed to reduce thermal stratification and help maintain water quality through even distribution of disinfectant and elimination of water short circuiting. By mixing the water in the storage tanks, less chlorine needs to be added at the plant therefore reducing disinfectant byproduct levels. In cold climates, the mixing systems reduce ice formation and damage. Different sizes of active mixers are available including the new GS9 which is well suited to smaller tanks and offers a very affordable price. Our mixers feature laminar flow of water which produces a smooth, gentle wall of water traveling up to the surface. Once at the surface, the water flows outwards then drops back down to the tank bottom along the outside walls resulting in large circular motion of water. As water is drawn from only a few inches above the tank floor the entire tank is evenly mixed. 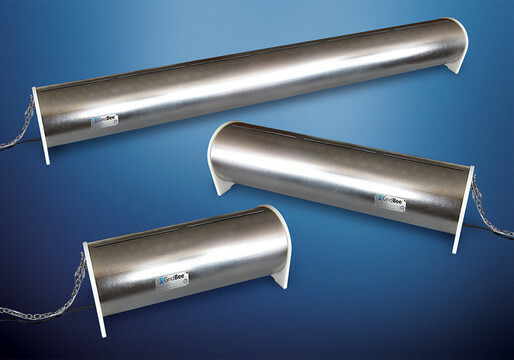 For water systems needing to meet EPA Stage 2, our TTHM reduction equipment may be a cost effective and simple solution. 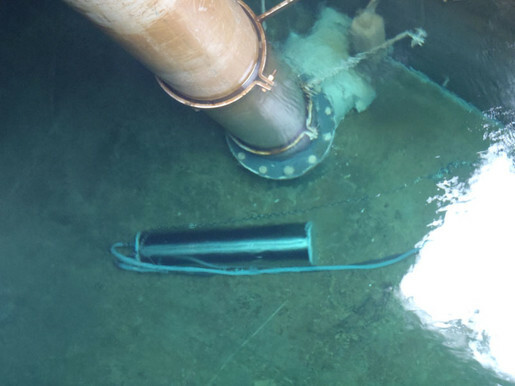 The floating spray nozzles collects water from the bottom of the tank as it enters, treats the water then releases it at the surface. Air to power the system is supplied by a blower unit outside the tank on the tank roof or the ground next to the tank. In addition to reducing TTHM levels, these systems help to mix the tank completely.